Check out the Ballina Arts Centre programme for the first week of May, 2017. One of our favourite things to do in Ballina is to pop into this fabulous facility for a show and there’s something in the Ballina Arts Centre programme for everyone! Written and performed by Peadar de Burca and performing at Ballina Arts Centre on Thursday 4th May, 8pm. This performance is about Peadar de Burca, an Irishman, who gave up his life on the west coast of Ireland to raise a family in the Silesian region of Poland. Since going there he has developed asthma, earns the equivalent of €200 a month and has tried and failed four times to learn Polish. But this is comedy! Tickets: €14 / €12. Early booking advised. No-one ever chooses to be ashamed. Áine’s granny is suffering with her nerves. Áine’s not feeling great either. They’d both talk about it… if the problem wasn’t that it’s hard to talk about. Áine’s throwing a party, and God knows we could do with one. There’ll be balloons, and pretty dresses, and maybe even cake. This is a story we can all relate to: it’s about how the place you’re from shapes who you are, whether you like it or not. It’s about home, and family, and why the inside of your head can be the most unwelcoming place of all. 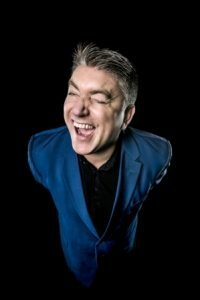 Fresh from the success of his award-winning show, Selfie (described as “dangerously funny” by New York’s onstageblog.com) Pat Shortt returns to Ballina Arts Centre with a brand new show called How’s Tings? Performing on Saturday and Sunday 6th and 7th May at 8pm. 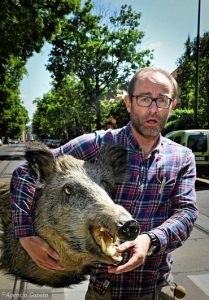 In a night of music and mayhem, Ireland’s most popular comedian explores all sorts of tings. Big tings and little tings. Personal tings and tings that are not so personal. Important international tings and tings that only affect the parish. In Shortt, it’s a funny show about tings. Tickets: €28. Early booking strongly advised. You can now book tickets ONLINE for Ballina Arts Centre events. Just go to www.ballinaartscentre.com and click the “BOOK NOW” tab on top of the page! !